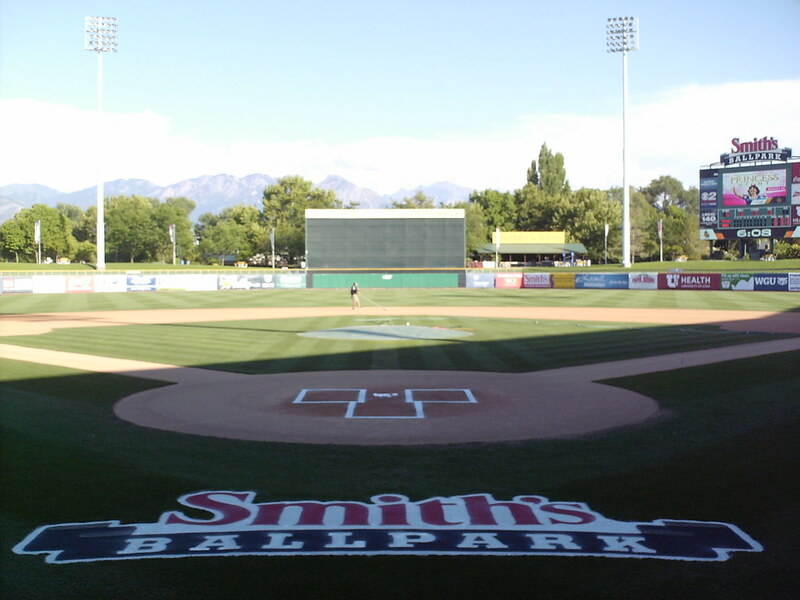 The view from behind home plate at Smith's Ballpark. 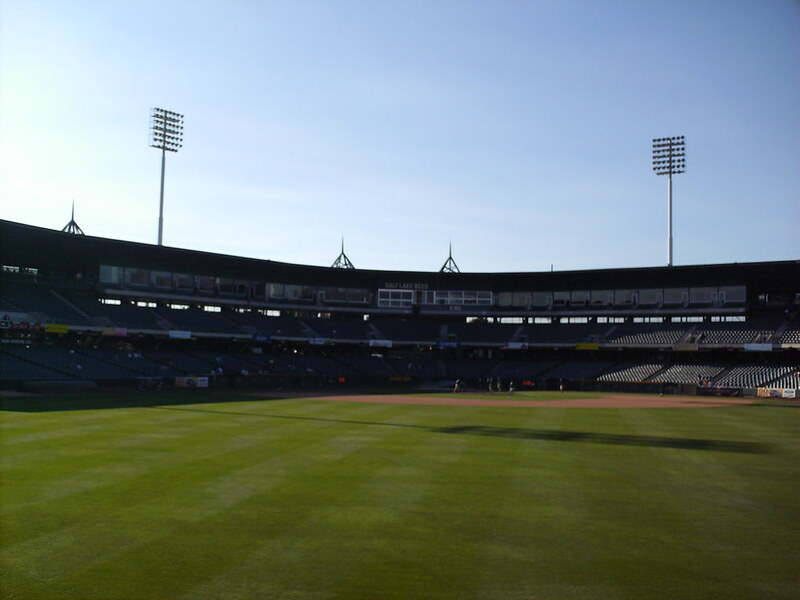 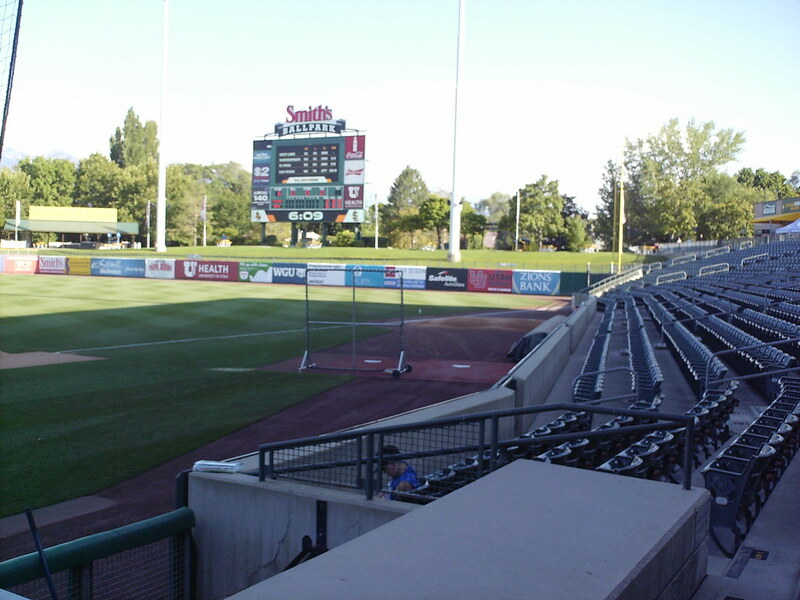 The grandstand at Smith's Ballpark, as seen from center field. 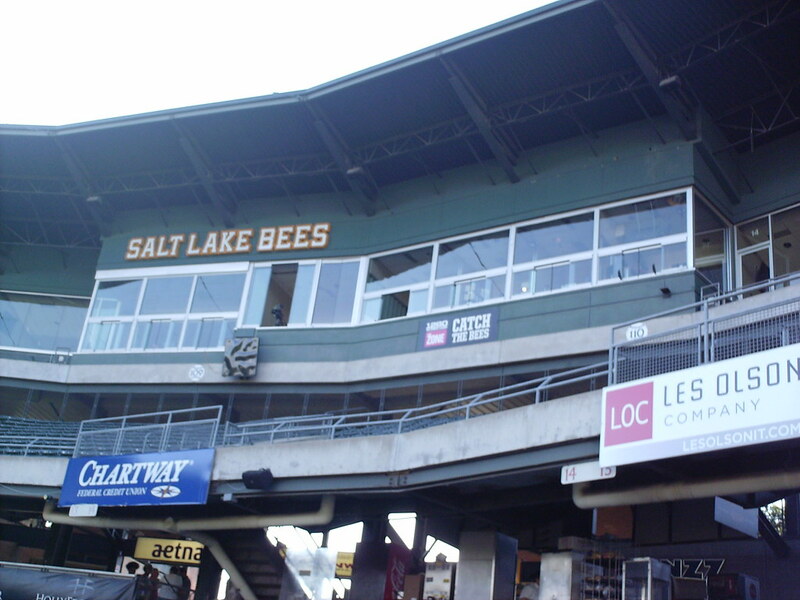 The pressbox, on the third level behind home plate. 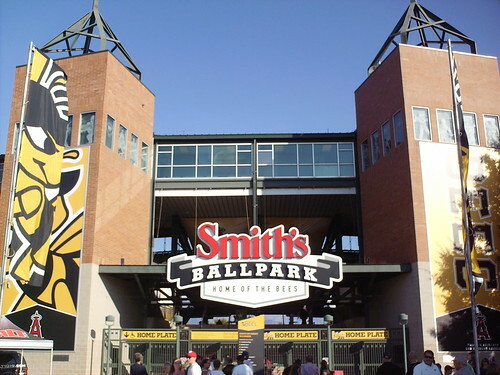 The ballpark features a large second deck, with luxury suites running along the top and a covered party deck at the ends. 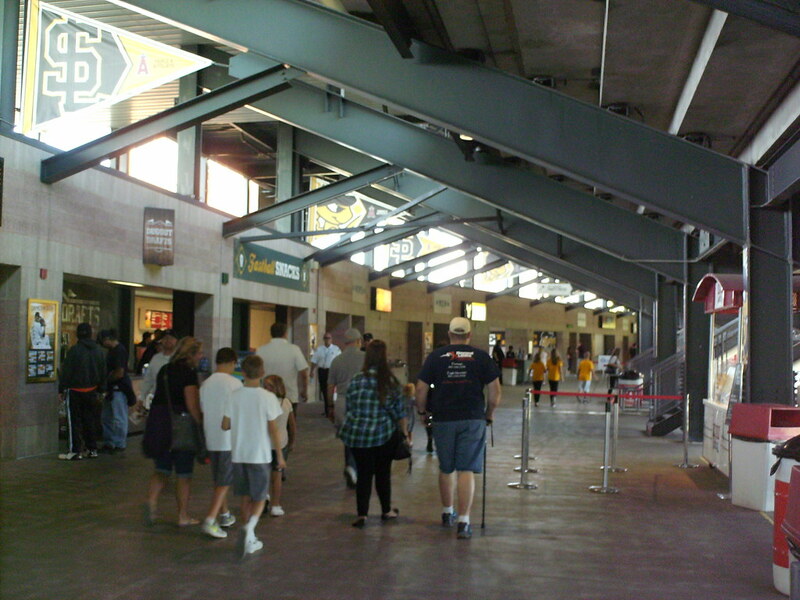 The concourse at Smith's Ballpark runs along the top of the main seating bowl, underneath the second deck stands. 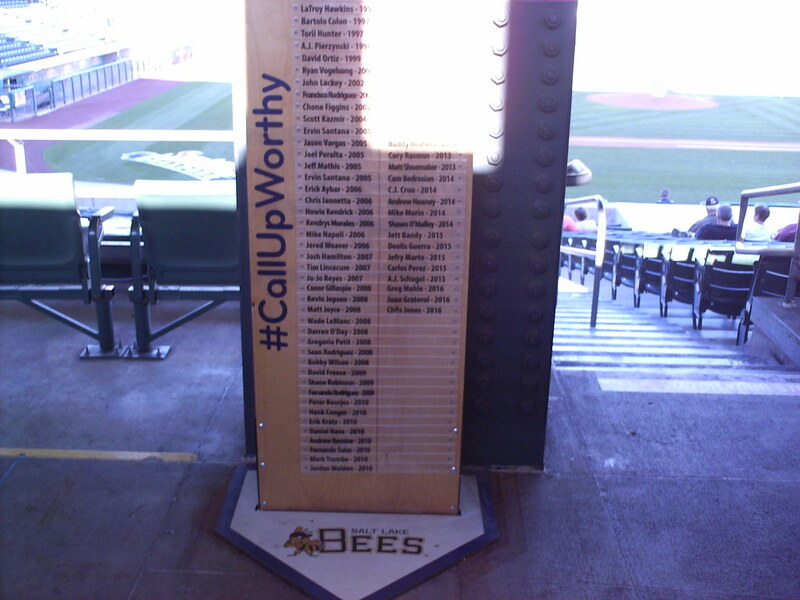 A plaque along the concourse celebrates former Bees players who have made it to the major leagues. 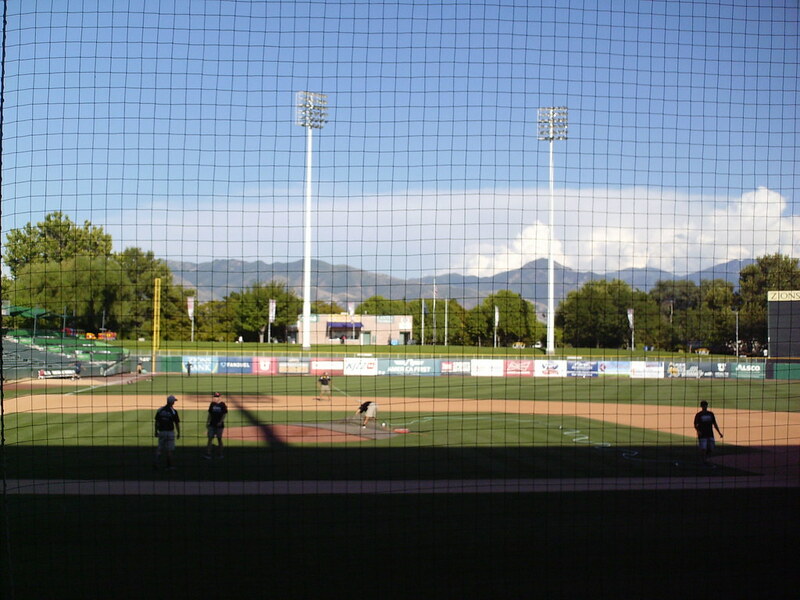 A sponsored picnic table area sits at the far end of the third base stands, and a grass berm wraps around the outfield fence. 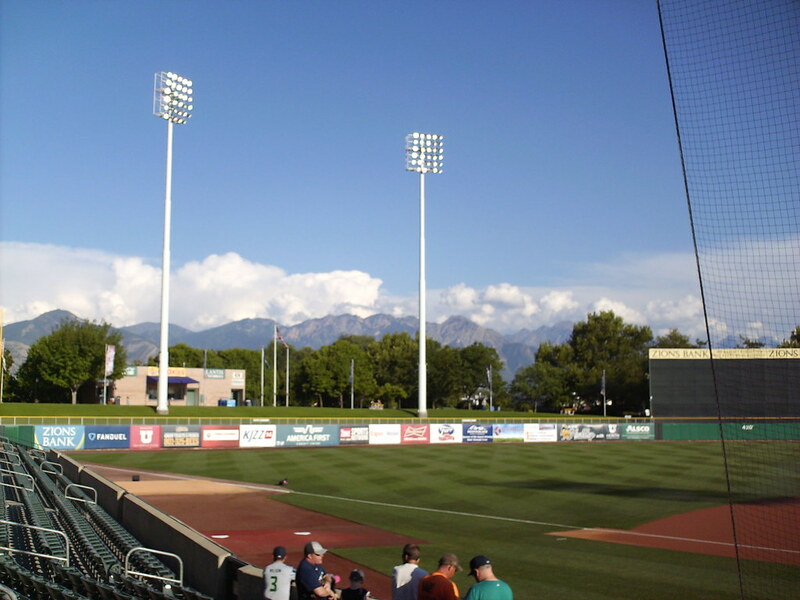 The Wasatch Mountains run behind the outfield fence, providing one of the best views in minor league baseball. 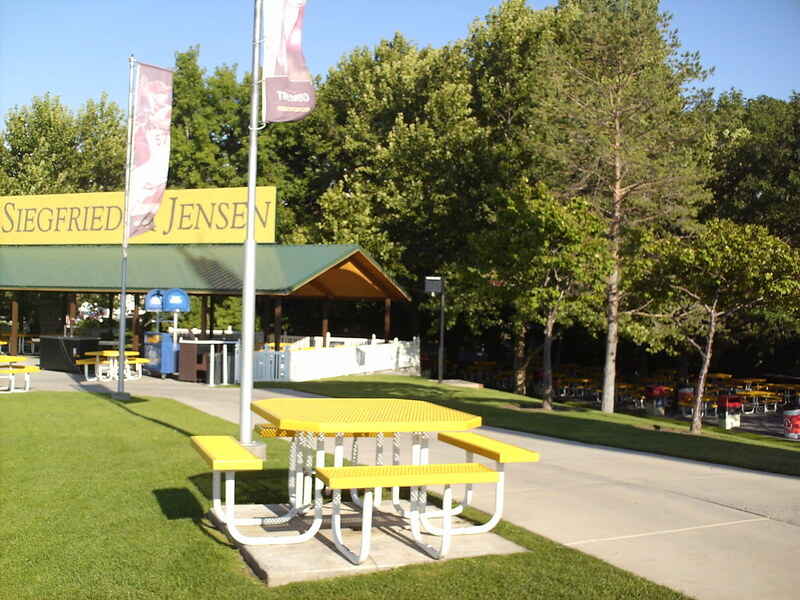 The outfield concourse features a covered group seating area, and lots of picnic table seating. 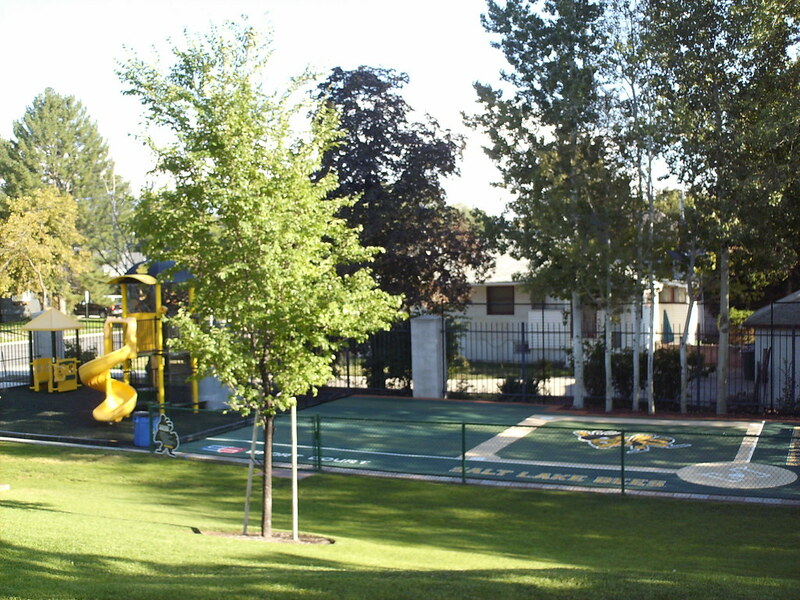 The children's play area in center field features a playground and a miniature ball field. 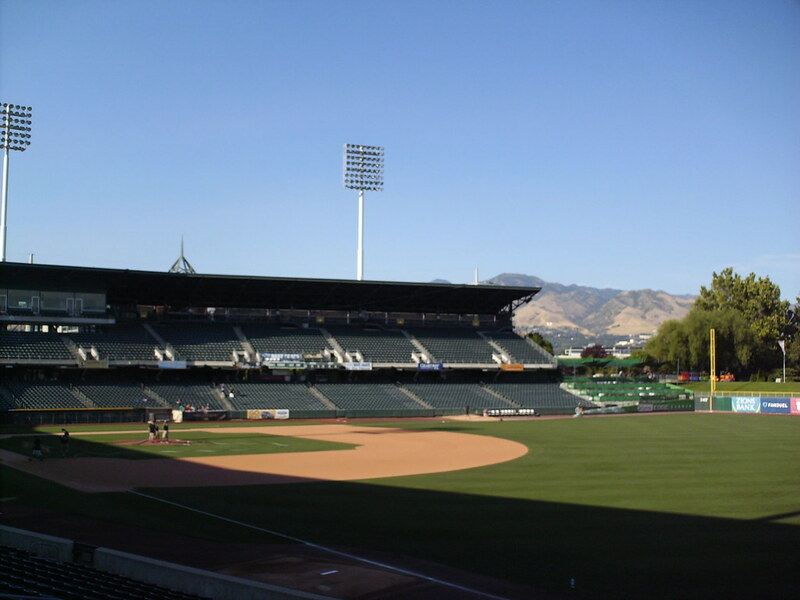 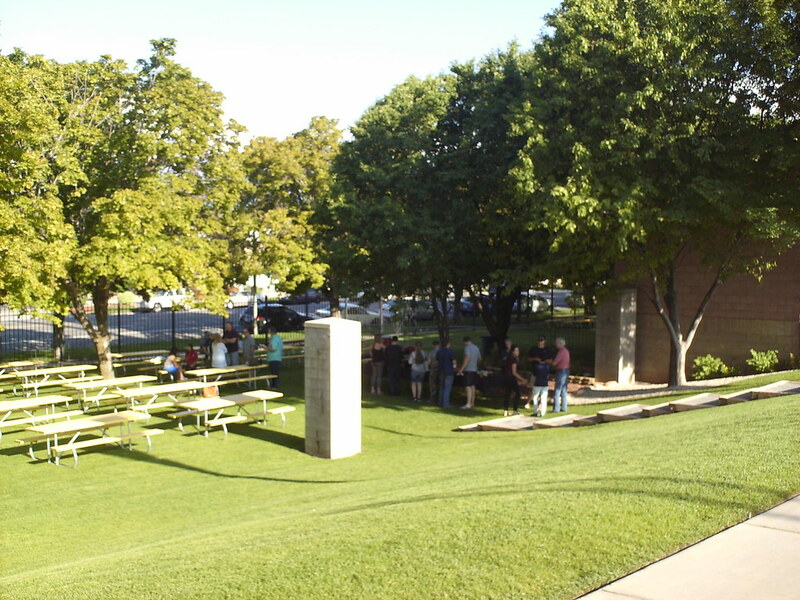 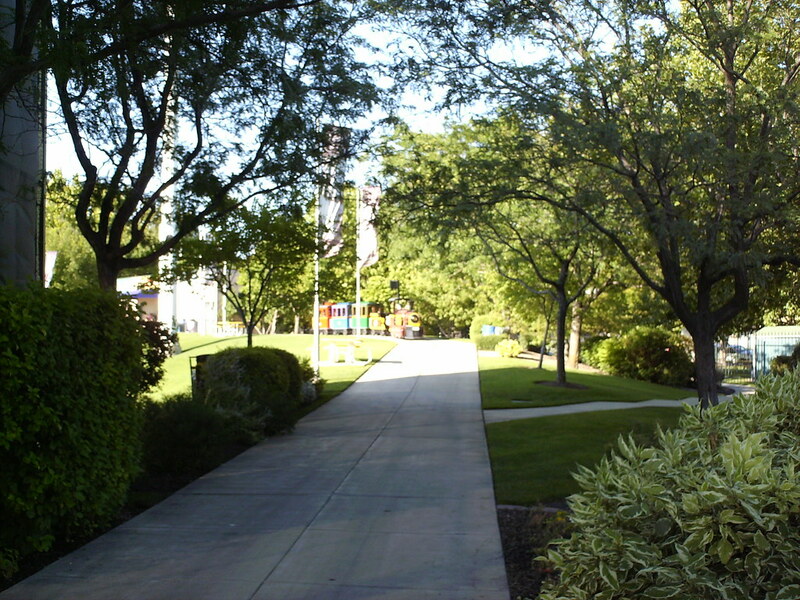 A large open picnic area sits down the hill from the left field concourse, providing a secluded area for groups to gather. 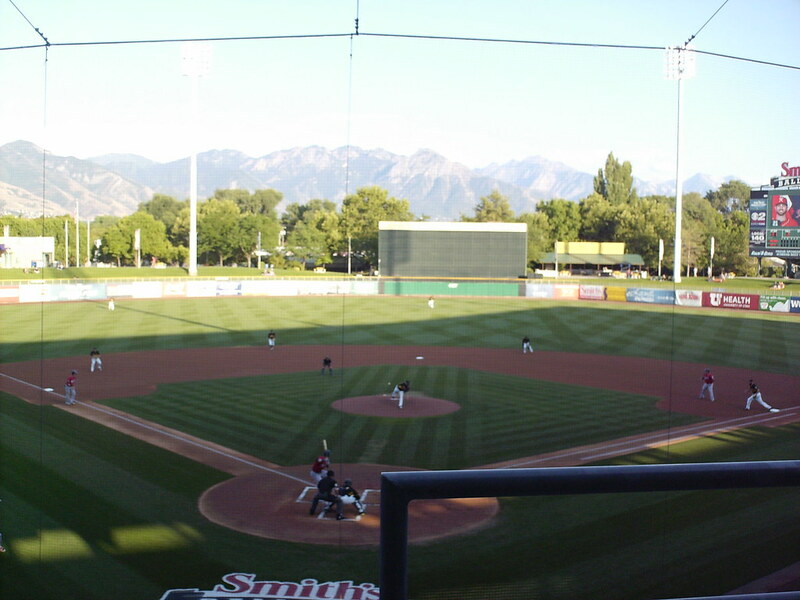 The landscaped outfield walkway looks like a city park as it wraps behind the batter's eye. 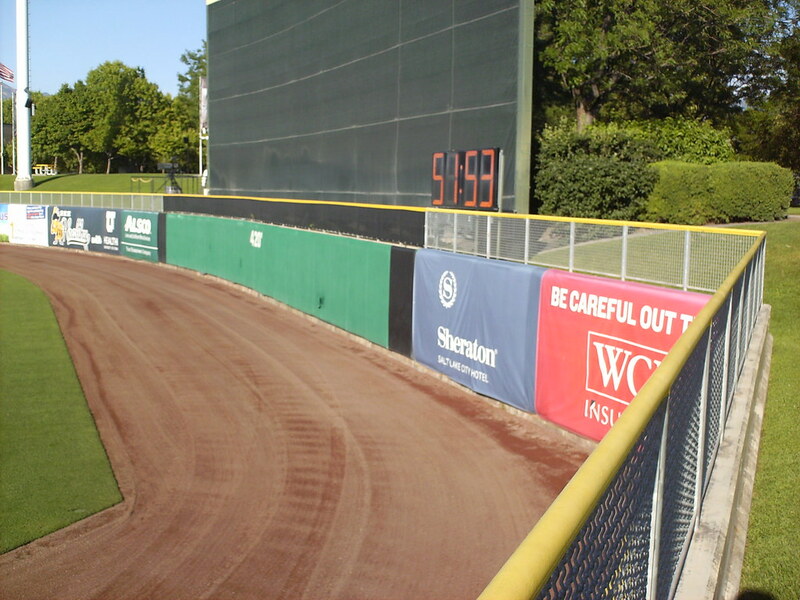 The bullpens are in play down the foul lines. 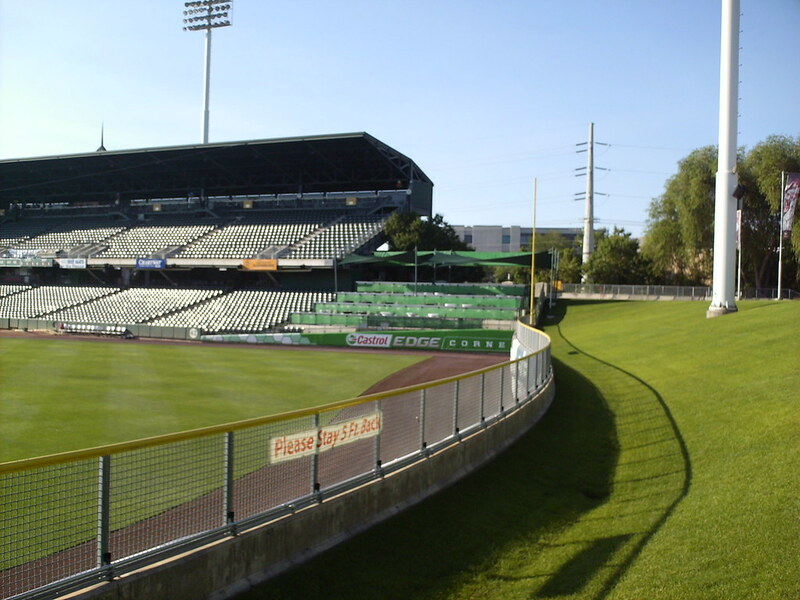 The outfield wall features a sharp corner in right center field and more rounded curves in left field. 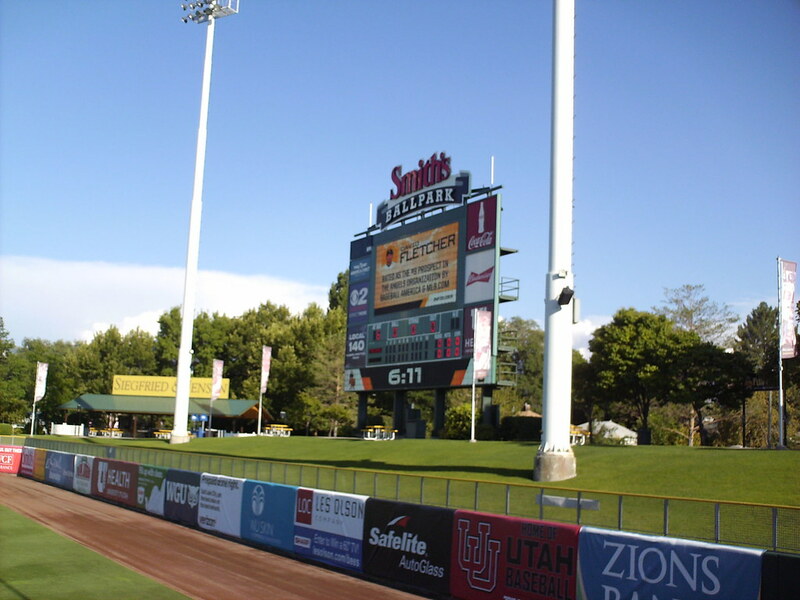 The scoreboard stands behind the right field berm. 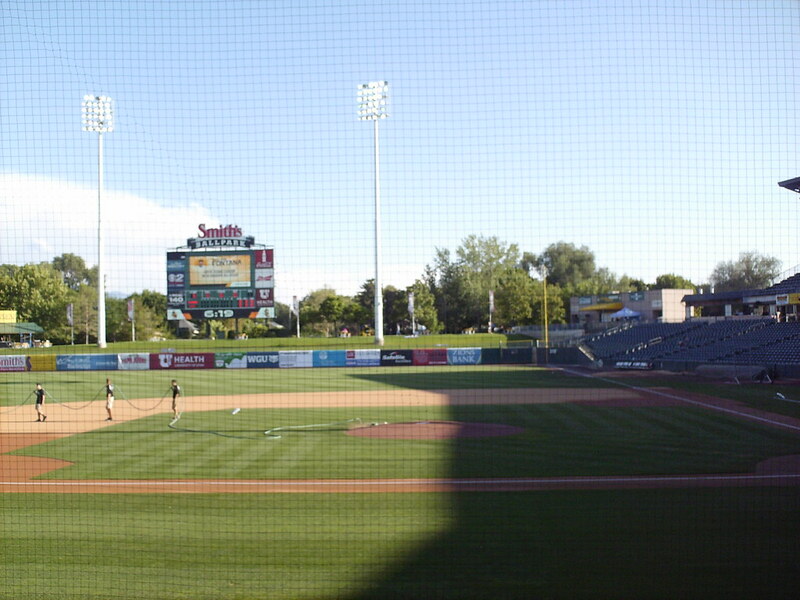 The Salt Lake Bees on the field during a game at Smith's Ballpark.